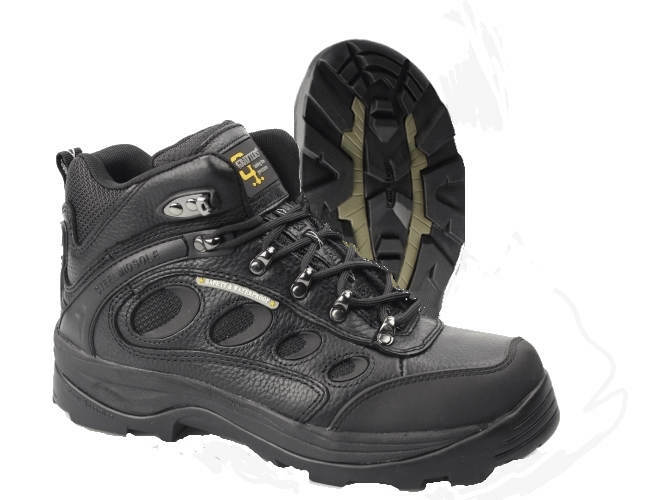 Grafters waterproof steel toes safety boots with steel mid sole. m137a. Safety toe cap leather mid ankle with mid sole steel plate, lightweight dual density sole unit. Extra Grip meets SATRA tests,slip tests PM144, non marking, ladder grip and anti clogging sole, Waterproof. breathable sock in lining. Great boot if you are in wet conditions and foot protections from spikes.